The Master Tee Zip Neck Shirt offers a refined style through a tricolored braid and an embossed logo. With 4-way stretch material, a brushed interior, and moisture wicking fabric, the Master Tee gives excellent odor management and added comfort and warmth. 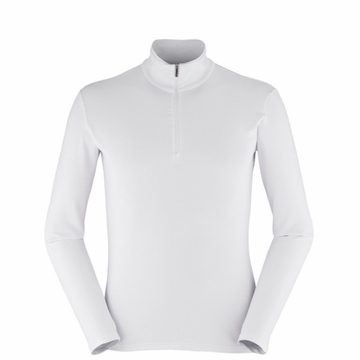 These features allow the Master Tee to function beautifully as a midlayer for colder ski days.